Iran is probably not the first place that comes to mind when thinking about modern electronic music. After the revolution of 1979 transformed the country into an Islamic Republic, political tensions, economic sanctions and cultural isolation all kept the country’s music culture turned squarely inward. From the 1980s onward, traditional folk and classical music were the only officially approved forms and pop and rock musicians went underground, forced to perform well outside the view of censors. Obtaining and listening to music from outside the country was difficult and at times dangerous and only in the last decade or so have Iran’s citizens – thanks largely to widespread internet access – been able to freely follow and participate in worldwide developments in music. Some restrictions are still in place, but because electronic music is largely wordless, it is widely perceived to be less of a corrupting influence on the youth of Iran and so electronic musicians are afforded a certain degree of freedom to perform, organize festivals and even tour outside of the country. 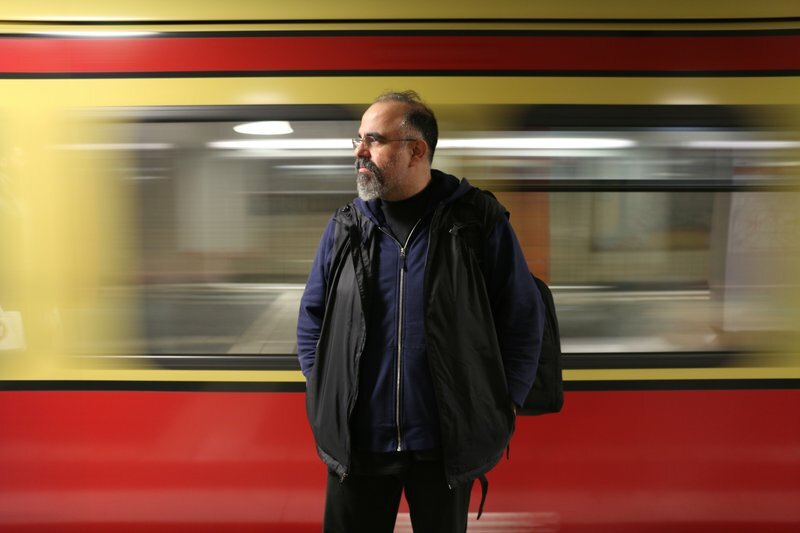 In this rapidly evolving scene, Ata Etbekar aka Sote occupies a somewhat unusual position; having lived in Germany and the US for most of his life and released on labels such as Warp, Sub Rosa, and Morphine, the now Tehran-based artist is familiar with the realities of music making both inside and outside of Iran. Translating this dual perspective to his artistic practice, Sote’s most recent album, the critically acclaimed Sacred Horror In Design, brings his advanced synthesis techniques into dialogue with traditional Persian instruments. The resulting unsteady rhythms, radical sound transformations and extreme timbres make for an at times challenging listen. But there is also much that is immediately rewarding, delicate and beautiful in Sote’s musical meditations on opposition and reconciliation. In our interview, Ata delves into the details of the recording and live performance of the album. He also traces his musical upbringing and sketches the current situation for music makers in Iran. Plus, he shares samples from the track “Holy Error” which you can download for free and use to make your own version. Your most recent record Sacred Horror In Design is not the first time you’ve incorporated elements of Persian music in your tracks. How did this come about? What instruments do we hear on the record? Where are the recordings from? Actually my experiments with Persian electronic music started about 14 years ago. My albums Dastgaah and Persian Electronic Music - Yesterday and Today were my vision of Persian traditional and folk music within an all electronic framework. The album Ornamental(ism) was an electro-acoustic collaboration between myself, Alireza Mahayekhi and his Iranian Orchestra For New Music. I was given studio recordings of the orchestra; plus I recorded the performers during their concerts and rehearsals to utilize as source material which I eventually processed, deconstructed and reconstructed into new pieces. For Sacred Horror In Design (Opal Tapes 2017), I did not want to repeat myself in any shape or form. The tuning of Persian classical music and the colors of the instruments are kept without any alterations for this project. Only on a few of the pieces, the instruments were processed to become an artificial version of the acoustic instruments in order to be situated opposite their dry acoustic parts unrestrictedly. The challenge was to have the acoustic elements be in absolute harmony with their electronic counterparts without any element overpowering the other one. But the beauty of electronic music is the freedom one has with FM, spectral, granular and waveshaping synthesis techniques to achieve wonderful microtonal melodies and harmonies, which ultimately provide a glorious palette of sonic goodness to be layered with Persian instruments and scales. 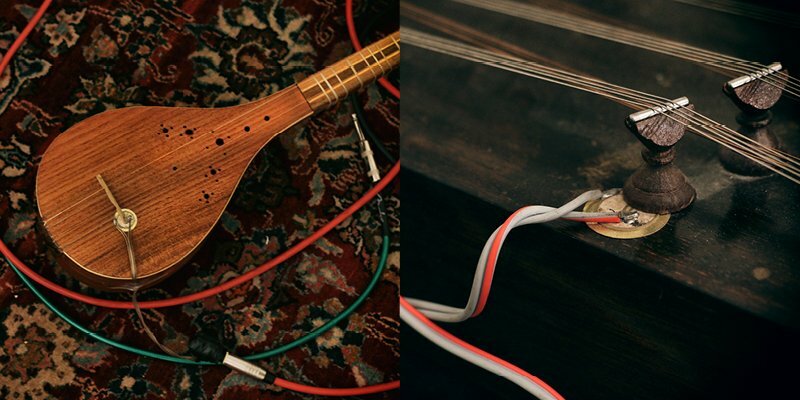 The instruments used for this project are the santour (Persian hammered dulcimer), the setar (Persian lute - not to be confused with the Indian sitar), and the kamancheh (Persian bowed instrument). All the recordings of these instruments were done at home with minimal gear. To perform the material from Sacred Horror In Design you have been touring with two additional musicians. Who are they and how are they integrated into your performance? Arash Bolouri plays the santour, Behrouz Pashaei is on setar and Tarik Barri does live visuals. I run Ableton Live running clips in Session view for the electronic parts. There are pick-ups attached to the acoustic instruments, which are directly fed into my audio interface for processing in Ableton with various effect Racks. At the same time, microphones feed the front of house separately without any effects. Tarik Barri wrote a Max for Live plug-in to sync up my scenes with his system. The musicians and their delicate acoustic instruments for this project are of utmost importance for me as they hold equal significance next to the loud electronic sonic mayhem that’s going on. So, whenever we perform, I have to make sure that the live sound engineer understands this concept and takes care of the always problematic feedback issues. On a couple of the pieces, which have some room for improvisation, I try to have a direct dialog with the musicians via digital signal processing, and for the rest, I either process the acoustic instruments or play certain electronic elements to accompany the pure Iranian instruments’ soundscape. My Racks contain all in-the-box Ableton effects such as granular processing, frequency splitting, distortion, ring modulation, combination of bandpass filters and delays for resonation, wave-shaping and convolution reverbs on Aux tracks with parameters assigned to macros for fast manipulation. You kindly provided samples of the santour and setar instruments as well as the Serge analog synth parts which were used in the track “Holy Error”. How and where did you record these sounds? The Serge samples are from my residency at EMS in Stockholm and are the same ones I used for the piece ‘Holy Error’ on the album.The santour and setar samples, which are performed with traditional and extended techniques were re-recorded with a Rode NT2-A microphone in combination with the pickups attached to the instruments. The phrases are exactly the same as the album version, but we decided to record some additional relating phrases for the Ableton community. Contact Sote on SoundCloud before May 1, 2018 with your re-interpretation of the track “Holy Error” using the sounds in the download. His three favorites will receive a CD or download of the Sacred Horror In Design album along with one Ableton Pack* of their choice. Since most of us in the West don’t know much about Iran can you describe what role music plays in everyday life there? And where does the kind of music you make fit in? Is there a scene for electronic music in Iran? Music and poetry have always been essential parts of Iranian people’s everyday lives from various social backgrounds. This is still a fact in contemporary Iran even if there have been minority forces that have looked at music with mistrust and a tool of losing social and ultimately political control. Ironically, during its most severe phase, certain types of music were used as propaganda to influence the masses, and contrarily, certain works of music were banned for unclear reasons. However, because all art forms are deeply ingrained within Persian culture, nothing could stop the existence of a creature such as music. Especially because musical information and tradition was passed from generation to generation – until very recently at least – via the common people and not through organized academia. I also believe that since improvisation is an elemental part of Persian traditional music, it has helped Iranian artists to instinctually adapt to their current social and political surroundings and continue with their art form any way they can. Today of course, all forms of music can be and are heard via the internet and satellite systems, which are the main sources of access especially for the younger generations. However, the majority of publicly broadcast music is either traditional Iranian music and/or Iranian Pop music that has the stamp of approval given by the Ministry of Culture and Islamic Guidance. I would love to have a weekly show on Iranian radio to introduce the wonderful international phenomena of experimental electronic music to the whole country, but it’s nearly impossible to do such thing when all radio stations and TV stations are government owned and controlled according to a certain taste. So for now, in order to be heard, we have to rely on the internet. The experimental electronic music scene in Iran is pretty small, but there is definitely a lot of activities from numerous crews and organizations in this field happening now. So far, the reaction and reception have been beautifully positive. I’m optimistic that via small scale performances, presentations, lectures and workshops, the whole electronic sound art movement can grow relatively rapidly. And hopefully, the responsible people in and with power will support it in the near future. How did you get involved in music in the first place? Are you an autodidact or did you have a formal musical education in Persian music and/or Western music? If so, how have you applied this training to the music you are currently making? I was born in Germany, but lived in Iran until the age of 11. Then I moved to Oldenburg, Germany until I was 17 years old, at which point, I moved to and lived in Northern California for about twenty-five years. About five years ago, I moved back to Tehran permanently. I remember shortly after the Iranian revolution when I was about 7 or 8 years old, I enjoyed listening to Western Pop music on illegal bootleg mix-tapes that my cousins made copies of for me, and I’d be strongly drawn to the strange sounds which I later understood to be synthesizer parts. I would keep rewinding to the synth bleeps, sweeps and hits. These elements would always have priority over melodies and lyrics for me. Then during my teenage years in Germany, two of my friends and I formed an all-electronic band covering songs from early Depeche Mode, Front 242 and Nitzer Ebb. Eventually, we started writing our own material and performed them at our high school events. A couple of years after my move to the United States, I started teaching myself more synthesis languages and furthered my knowledge in electronic music techniques. In the early 90’s electronic music was still very experimental at its core, and I was very attracted to the fact that formulas didn’t matter and coming up with new techniques and tricks were very much encouraged. I was going to become a dentist, but ultimately decided to change direction and started studying Sound Arts in Northern California. Music theory was part of the curriculum, but I never had formal musical education in Persian music. I’m interested in instinctual harmonies and melodies, and don’t really care about the documented rules of other people. My compositions start with pure sound synthesis in mind. When I do sound design, I imagine various combinations of frequency bands to be the performing musicians of a large ensemble. Another very important part of my composition process is pattern programming. My passion is building polyrhythmic schemes from micro structures evolving into macro networks for a mega system. What are your main tools for composition? What does your studio set up look like these days? And your performance set up? When my wife and I decided to move to Iran permanently, I had to sell all of my hardware because we could only each bring two suitcases with us. Due to the sanctions against Iran, freighting our belongings was not an option. Everything had to be sold. So, in the past five years, my setup has been an Apple laptop, two little Korg Nano MIDI controllers, a Focusrite Saffire Pro 24 audio interface and a pair of Beyerdynamic DT 770 headphones. Since the late 80’s, I’ve used all sorts of hardware and eventually later on a variety of programs. However, these days my main set-up for both composition and performance is mainly Ableton Live (since version 2) along with instruments and effects from Native Instruments. Besides producing and performing your own music, you also teach in Tehran. Can you tell us a little about this work? I used to teach computer music and numerous other courses at a sound arts college in the US where all sorts of studios and sea of gear was available to utilize for teaching. However, in Iran, there is no such thing as a sound arts college or even a sound arts program. So, a lot of enthusiastic, young Iranians would approach me after my performances in Tehran for private lessons. At first, I didn’t know what tools to use to share my knowledge. Especially, since in Iran purchasing equipment is pretty limited. Nonetheless, almost everyone interested in electronic music has a cracked copy of Ableton Live. So, this situation in combination with my passion for sound led me to the decision of solely using Ableton Live to teach my private classes mostly in synthesis and sound design. The classes are one on one with my laptop on a table running Ableton with a couple of monitors. My students come from all sorts of background such as theater folks, university composition students, linguists, doctors, electronic music artists and enthusiasts who share the common curiosity of sound. 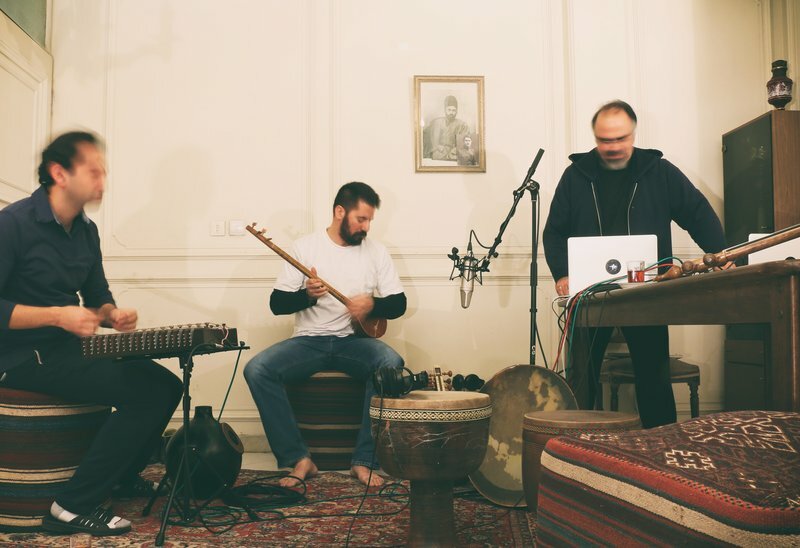 They travel long distances from all over Iran, and no matter what style of music they’re into, they all want to know how to make electronic sound from scratch and be educated about it. Keep up with Sote on Facebook, Soundcloud and Instagram.